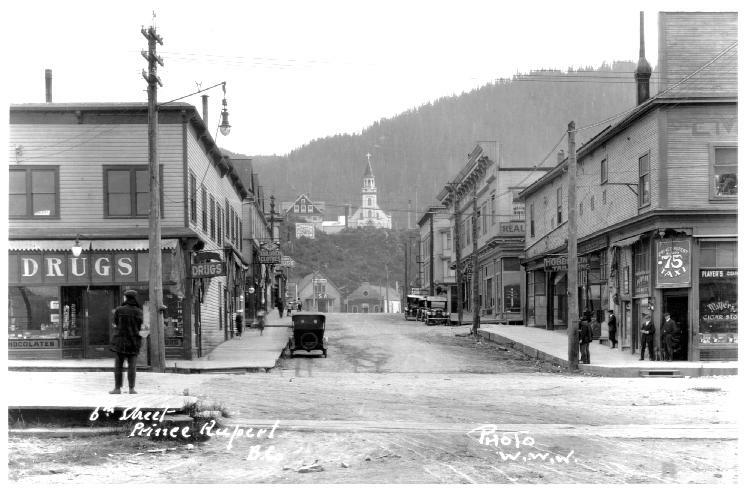 The Prince Rupert City & Regional Archives acquires and preserves records of enduring value related to the history and culture of Prince Rupert, Port Edward, Port Essington, Lax Kw’alaams (Port Simpson), Metlakatla, Haida Gwaii, Anyox, Dodge Cove and the surrounding area on the North Coast of B.C. We acquire, by donation, records from businesses, community organisations and private individuals that provide evidence of the past by documenting the social, political, and economic times. The Archives' holdings consist of photographs and negatives, manuscripts such as minutes and letters, financial records, legal documents, maps, blueprints, architectural plans, sound recordings, newspapers, and historical reference material. These records are accessible to the public and are maintained in a climate-controlled environment so they will be available to future generations for hundreds of years to come. We would like to acknowledge and thank the following for their financial support for making this site possible: Library and Archives Canada through the Documentary Heritage Communities Program (DHCP), Irving K. Barber Learning Centre at UBC, The Real Estate Foundation of B.C., and the North Coast Regional District.